Demons live among us. They shop at the grocery store and work at the local coffee shop. Kendra has been able to see them her whole life. And she’s never told anybody. What good could come of it? She’s used to horns, decaying flesh, and blue skin but when she first meets Nick, she’s caught off guard and she almost can’t keep her secret to herself. His appeal is more than just his good looks, his demon ability makes it hard for her to stay grounded and away from him. She knows she has to stay away from him. But he keeps showing up in her life and she is one debt short of keeping all her secrets safe. I’ve almost read everything Starla and S.A. Huchton have ever published. I will continue to read everything Huchton publishes. She is an amazing storyteller and has a gift with words, plot, characters, and style. She could fictionalize the dictionary and make it intriguing. 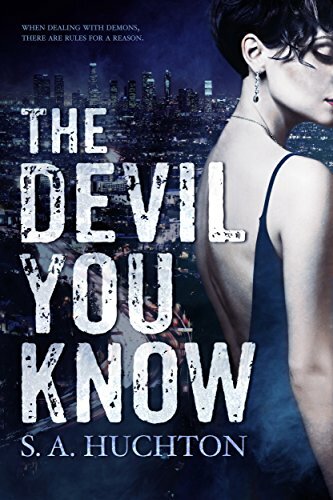 The Devil You Know has both paranormal and urban fantasy elements, two key book characteristics I typically don’t like, but I loved this book. The characters may have been demons (not all of them), but they were alive with approachable human characteristics. The world was set in a typical city, but in a world where there were different types of demons with different characteristics. Huchton gives us just a little bit of the fantasy world in which demons live, but firmly grounds it in a contemporary and familiar world. The two main characters: Nick and Kendra are both complex and misunderstood. Both will come to new realizations after meeting the other. They both learn and grow throughout the novel. I loved how Kendra was able to change her opinion of Nick as he opened up to her the longer they were together. I guess growing up knowing you are the only one who can see 8-foot tall demons with horns and blue skin would make you more open-minded to other things, but I was pleased with how Kendra dealt with and stood her ground with Nick and the other demons. This novel was published by Amazon Digital Services, Inc. on 01/29/2017 and is available on Amazon here. In the Republic of Americas everyone is happy. Jackson has been excited to go back to his home in the Republic of Americas for years, but upon arrival, the land of plenty is a depressing landscape of malnourished citizens who appear happier than they should be. Just hours after his ship arrives, Jackson is singled out and taken to a Liberty Box. Only his mental training will keep him from being bewitched like all the other citizens in the Americas. 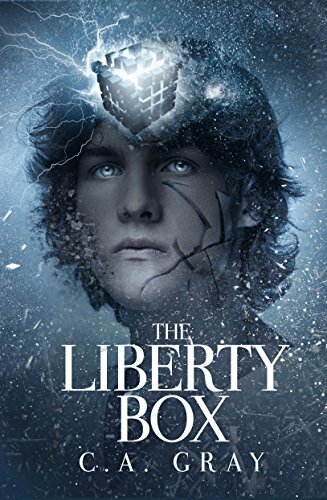 The Liberty Box is a mind control center, the place where the government and those who work for the government capture the brain waves of all newcomers. Once they have the brain waves, they can then send messages and lies to every person in the Republic of the Americas to control how they perceive their world. All citizens can be happy all the time doing anything the political leaders need or want them to do. Does this mind control work all the time? As long as the machines are up and running, they seem to work continuously. I liked that there has only been a short history of the Republic of the Americas since it was simply North America. Not enough time for history to dissolve in everyone’s mind but enough time to indoctrinate *most* of the youth. That is where Kate comes in. As a child she was sent to a camp for those who saw through the brain wave mind control. She was successfully rehabilitated, or so everyone thought. I thought the author did a great job presenting the dystopian future and filling out the world building from the different perspectives in different chapters of the novel. I would have liked to know more about all the facets of the mind control. What difficulties did they face in the beginning of the Republic of the Americas when they had to create the infrastructure to support the mind control? How far does the manipulation reach? Perhaps these questions will be answered further in the series. This Dystopian novel was published by Wanderlust Publishing 10/25/2015 and is available on Amazon here. Heroes exist. Kelly has a power, but she doesn’t want to use it. She doesn’t want to get caught with her power. Expectations are too high and she just wants to be left alone. Not everyone feels this way. Kelly’s best friend wants to be a hero and will jump at the chance when she gains her own powers, pulling Kelly along with her. Kelly will be left with no choice but to use her power. The question is, who will she use it for? 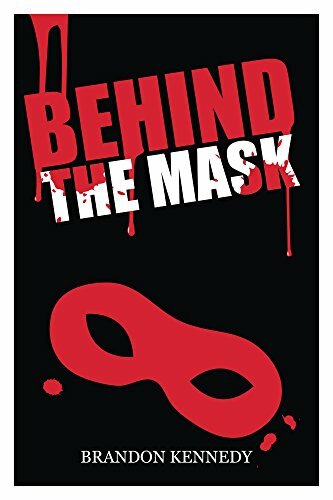 Join a heroine hiding from her past, a villain stuck between loyalty and passion, a vigilante masquerading as a hero, and a detective searching for the strings that tie them all together. This dark tale explores the idea that the person behind the mask isn’t always who we expect them to be. Enjoyable story. There’s a little romance, a good amount of super hero action, and a good cast of likable characters (including some of the bad guys). 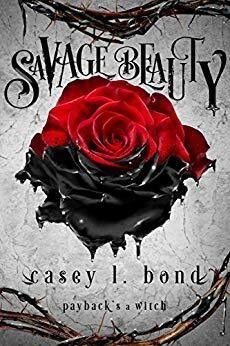 Suitable for a YA audience with some violence (including death), and a light amount of romance. I really liked Kelly. She’s the reluctant hero of the story. She has a chip on her shoulder and a bitter attitude about heroes, but is loyal to a fault. When her friends pull her into the world of heroes, she will have to respond. At least to save their butts. I didn’t buy the romance that was introduced in the second half of this story. It was too sudden – for the characters and in the plot of the story – as if it was thrown in there for variety and to create extra problems for the characters. The story was excellent and really fun to read. The grammar could use some work. There were quite a number of typos as well and there was an issue with the formatting, especially in the second half. This book, if polished, would be a five-star read. As it is, if you can look past the grammar, typos, and formatting you will enjoy this book immensely (especially if you like a good superhero action book). This novel was published by Amazon Digital Services Inc. 07/13/2018 and is available on Amazon here. Gina Wetherby has been given the task of hand delivering one of her own paintings to her client’s private island before their daughter’s wedding. Gina is thrilled to visit the estate, tour the carefully created garden, and find more flowers to paint for her client. Unfortunately, before the wedding, a murder throws everything into chaos and nobody is allowed to leave the island until the killer is caught. 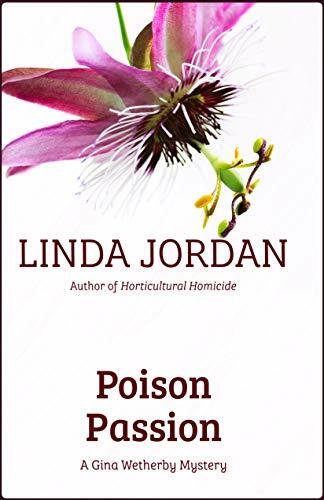 I don’t have the pleasure of reading many cozy mysteries so I don’t have much experience with the genre. That being said, I did enjoy this book. I really liked the main character, Gina. She is not your average main character. She is middle aged, single, and smart. She doesn’t fall in love in this story. The mystery (murder rather) is the focal point, which I really liked. I also liked how savvy Gina was with technology and how useful she actually was during the investigation. She might not be an investigator, but she’s logical and can use her knowledge and skills to assist with the investigators. Some of the writing was a little clunky in parts, but the story flowed well. The ending was a bit of a disappointment for me as I didn’t think it tied into the characters and story as well as it could have. This novel was published through Metamorphosis Press on 11/09/2018 and is available on Amazon here. With Luke captured, Kaya has no choice but to save him. Kaya’s father, the evil Henry, has given her an ultimatum: her life for his. The clock is ticking and Kaya is all for rushing down to her former home, saving her beloved and sacrificing herself. Thomas, Lisa, and Seth are not as keen on Kaya’s plan. Nothing will stand in Kaya’s way. Not Thomas, who loves her as more than just a friend. Not Seth, who is more interested in keeping Kaya alive than in respecting her decision. But there’s more at stake than just her life and the best laid plans don’t always work. Rhapsody starts off right where Nocturne left off. Luke and Stephan are in custody (Henry’s custody). Kaya, with her group of friends is setting out to save Luke. Thomas and Seth won’t let her passion, anger, and emotion get the better of her. There is more at stake than Kaya’s life. I like how this book really drives home the bigger picture in the world McKenzie builds in this trilogy. 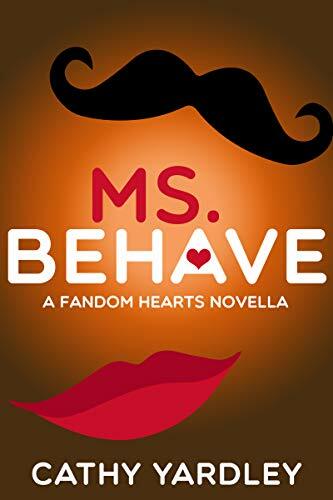 Henry is up to no good and if Kaya goes back to him, it will be nothing but trouble for more than just her friends. He is evil on a much larger scale than Kaya ever thought. He is a real and true bad guy. I appreciated the fact that he is still Kaya’s father. Like in a real abusive relationship, especially one among family members, Kaya longs for the attention and love of her father. All she ever wanted was his love. If he had given her that when she was younger, would she consider him as evil as she does? Kaya has flashbacks to times when Henry could have shown his love and this illustrates all the more what a terrible person he is. It also breaks down any sort of connection Kaya might have had with her father. I didn’t like this third and final book in the trilogy as much as the first and second books. Even though I read this book in a very short period of time and had a hard time putting it down, it felt like the entire book was a climax. There was so much tension and action that I was continually anxious for Kaya and an eventual happy ending. 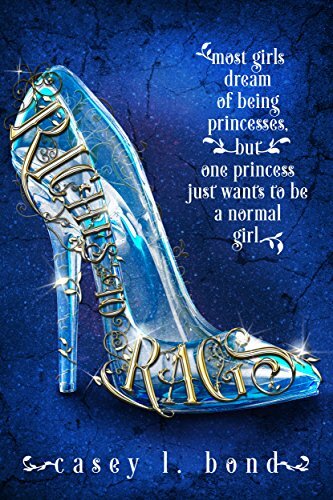 Like with the first book and the second book, everyone falls in love with Kaya and her do-what-she-believes-in attitude. She wears her heart on her sleeve, will dig in her heels when she needs to, and will do anything to protect those she loves. 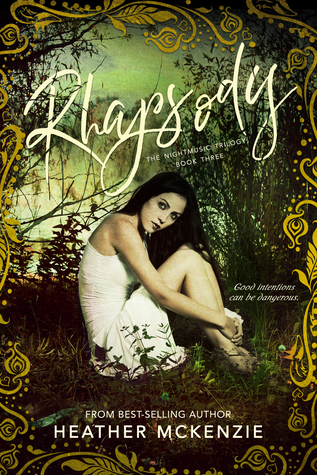 Kaya is the heroine everyone wants to be and the woman all the men fall in love with. Even the women fall in love with her. I have to wonder how she manages to make enemies, but she does! McKenzie is a phenomenal storyteller and has a seamless writing style. The story had a flow, as did the structure of the words on the pages. I would read books from a different genre from this author, if she were to leave young adult and write something completely different. I look forwarding to reading McKenzie’s next novel. This novel will be published by Clean Teen Publishing on 01/07/2019 and is available on Amazon here. After years of being away, Simon is back in his hometown of Snoqualmie while working on the hit TV show Mystics. 12 years is a long time, but some things don’t change. Simon’s best friend, Mallory, never left Snoqualmie. They were friends in school and are friends still, but is there something more growing between them? This was a fun quick read. As always, Yardley’s writing style and story pull you in and you can easily finish this short book in a day. I loved both Simon and Mallory. Simon is quiet and keeps to himself, even though he is an actor on television. Mallory was never understood growing up and even now is sometimes thought of as an outsider. She is accepted for who she is among her small group of geeky bookstore friends, but not everyone can accept that she’s bisexual. Simon always thought she didn’t like him growing up because she was only into women, but after finding out the truth, he won’t know what to do. I wanted to sock him over the head for being so dense when he found out Mallory was bisexual, since he can only think of himself in the moment, but eventually his winning nature shines through. 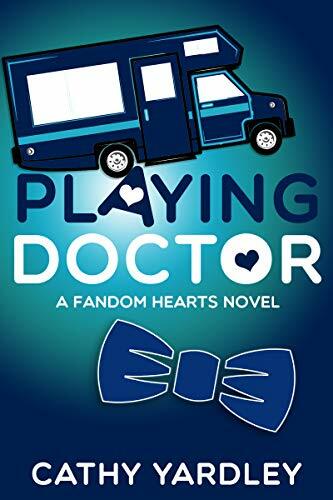 This novel was published by Amazon Digital Services LLC on 09/30/18 and is available on Amazon here. After finally escaping the Electric Gardens, Lexi and her friends find a post-apocalyptic world on the outside of the Tins’ compound. They don’t have time to stop and admire the wasteland because they are being pursued by the Tins. With a Tin of their own, they have a destination in mind, to find the other enlightened Tins and band together. 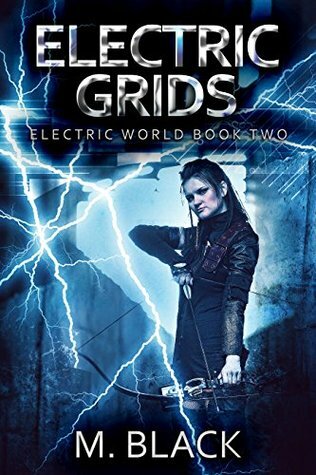 Electric Grids jumps in right where Electric Gardens left off and pulls the reader immediately back into the sci-fi universe Black has created. The idea behind the story was solid and intriguing. The concept of robots taking over the world is not new, but the details in Electric Grids come from fresh sci-fi eyes. A lot of details are left out or glossed over and the writing style does a lot of telling versus showing. For instance, the birth of baby Seth happens nearly instantaneously and without sensory details one would expect with the birth of a baby in the middle of nowhere with limited medical supplies and no doctor. This novel was published on 04/25/2018.